FORT JACKSON, S.C. - Soldiers lay on the ground outside the Tactical Operations Center, some yelling for a medic, others silent. Other Soldiers scan the woods, weapons held at the ready, watching for the enemy. 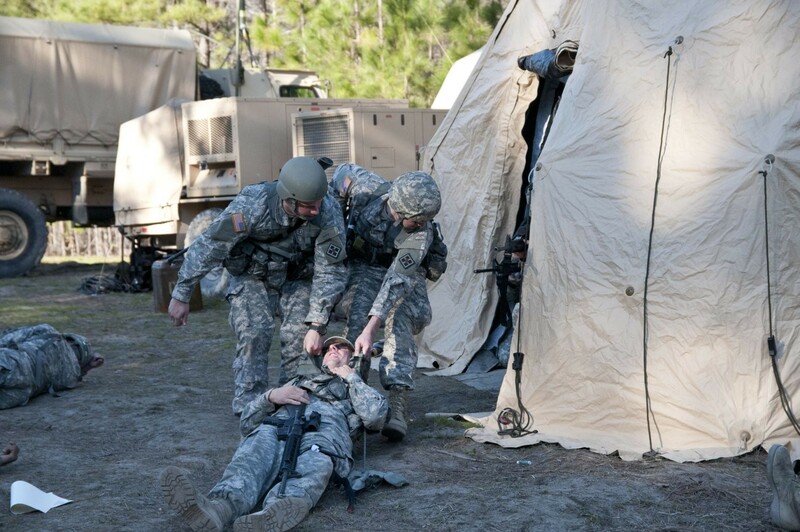 Fortunately, this is not a scene from an actual attack, but an impromptu mass casualty event during the 391st Engineer Battalion's field training exercise March 5 to 8 at Fort Jackson, South Carolina. The 391st Eng. Bn. primary mission during the FTX was to prepare their staff, Headquarters and Headquarters and Forward Support Companies for their upcoming Combat Support Training Exercise. To help with training in command and control, the battalion included four of their other companies in the exercise. The 357th and 712th Engineer Support Companies were co-located with the battalion, providing engineer support and security for the exercise. The 323rd Engineer Company (Clearance) was located at Camp Croft, Spartanburg, South Carolina, and the 361st Multi-Role Bridge Company was training in Warner Robins, Georgia, but were tracked and supported by the battalion. The battalion was responsible for more than 500 Soldiers throughout the exercise. The battalion and companies focused on accomplishing key collective tasks to build groundwork for future missions. "Those are preparation. When we go to [Extended Combat Training] there is a validation of where we're at with our training, said Lt. Col. Steven Hayden, commander, 391st Engineer Battalion, and Griffin, Georgia, native. 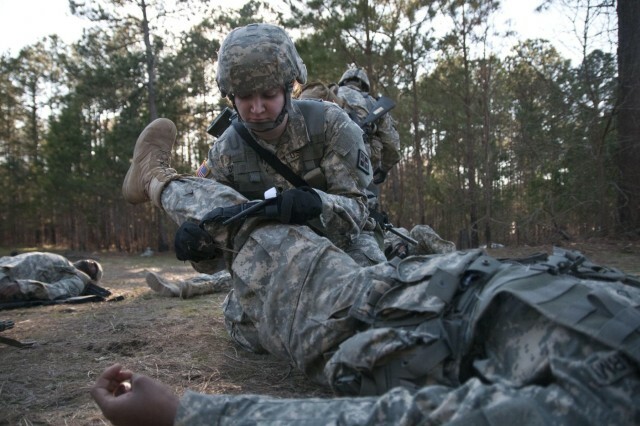 "This FTX will help us in our overall validation when we complete our ECT and allow us to be at a higher readiness rating than where we are now from a training perspective." In addition to preparing the battalion for their future missions, the FTX also gave them an opportunity to assess their companies' readiness. "We also get training value in a collective element. All of our downtrace companies go to their annual training, ECT events, without us and we don't actually get to observe their training at those events unless we can make a special trip. But we don't have (command and control) of them, we don't have that direct observation," said Maj. Matthew Slyder, operations officer, 391st Engineer Battalion, and Carlisle, Pennsylvania, native. "So, an FTX like this one, when we bring the companies in to a battalion-level exercise is really the first opportunity to assess the companies at a collective level." "This is really my first time to view the companies since I've been in command, about nine, 10 months now," added Hayden. "This is my first time to actually get eyes-on the companies in the field." While preparation for future exercises was the main objective, the battalion also focused on three main themes for this exercise: expeditionary deployment, self-sustainment and partnership. "I think a key theme focused on throughout the Reserve is expeditionary-type deployments," said Hayden. 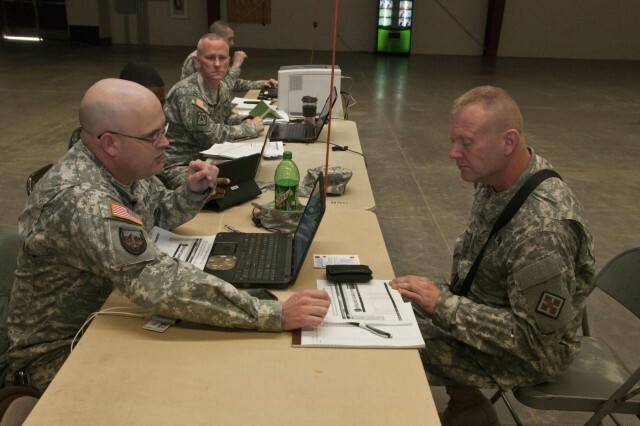 "This was truly and expeditionary-type of deployment. We occupied a place that had very much an austere environment, set up our sustaining systems and functioned here for these four days and I think that was another key accomplishment for our battalion." Being in an austere environment, it was very important to Hayden that the units be able to support themselves and improve their skills to sustain in any environment as Soldiers. "[The FTX] gets Soldiers to practice their [Military Occupational Specialty] and become proficient in their MOS, said Hayden. "When I say that, that's everything from the Soldier that were able to do dirt this weekend, were able to get on the heavy equipment throughout the installation on the projects. It also gives our MOS specialties like our cooks the opportunity to cooks for us, so we had four meals that were fed out of our [Containerized Kitchen Trailer] this weekend which was really exciting. We also had meals [transported] in from post so there was practice there for the first sergeants getting the beans and bullets for the Soldiers. The mechanics were also able to work." 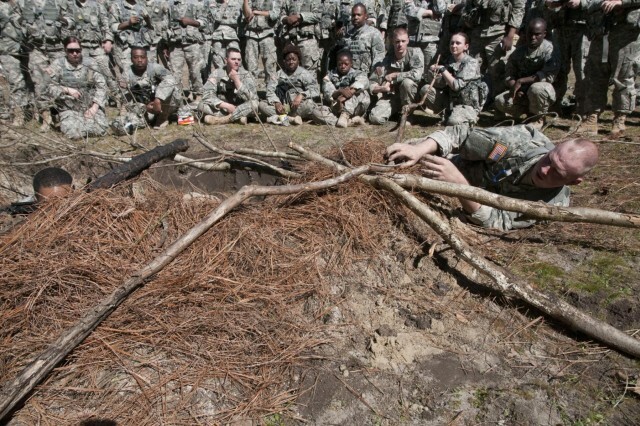 The Soldiers received refresher training on basic Soldier skills such as fighting position construction and techniques and security procedures. 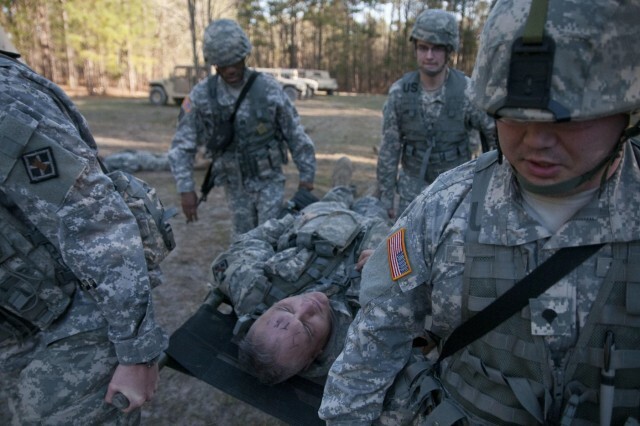 "I think one of the things I would say about this FTX is it allowed us to do some Soldier 101, Soldier fundamental training," said Slyder. "It allowed us to get back to our roots: being in the mud, being in the cold, being in the rain, being in our field uniform, carrying our weapons, ground-guiding vehicles. Some very basic Soldier skills that often become a lost field craft. I think why morale is so high is because we did those very Soldier fundamental things." 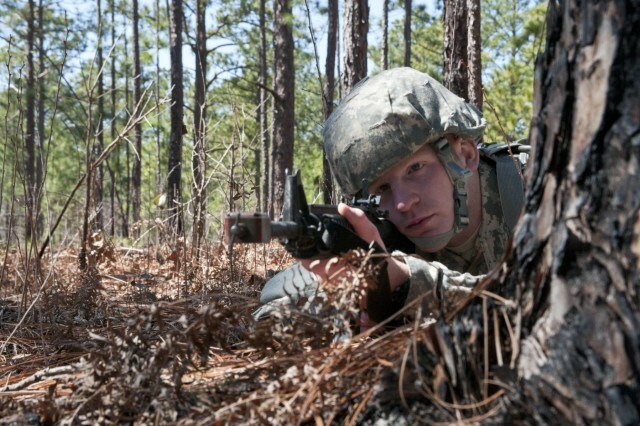 Soldier skills were improved upon, as well as developing the battalion staff to better perform their mission. "We have a very new command team and staff. Very few of our key positions are filled by people who have been here a while. Almost everyone has been here less than 12 months, anywhere from six to nine months in a position, so a lot of the key players that shape our unit are new," said Slyder. "So, this is developmental for us, this is a building block for us. It's not only the first time we are assessing the companies collectively, but assessing ourselves collectively: Can we pull it off? Can we put our heads together, work as a team from start to finish and then build upon it and improve on that?" 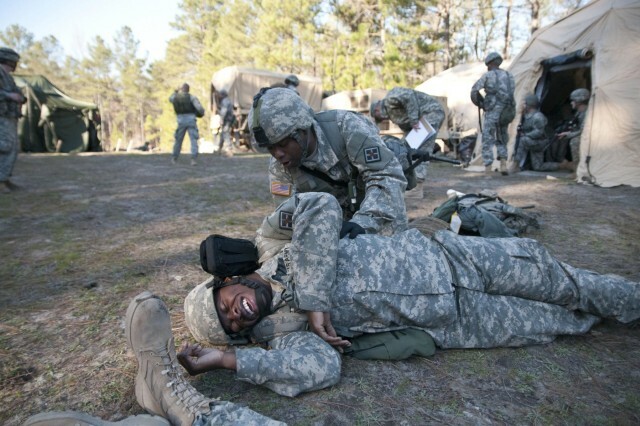 Improving skills within the unit was important for the exercise, but the battalion also used it as an opportunity to build relationships with other organizations. "One of the key themes for this mission was partnership so in addition to training the companies for upcoming ECTs which was really the primary mission focus for this, we've been coordinating with Fort Jackson, really for over a year now, on specific projects they have across the installation," said Hayden. Projects included road improvements, erosion control measures, building a baseline for a motorpool and reconnaissance for a new berm. "They buy the materials we simply provide the troop labor and the equipment hours and the equipment fuel. So, it's a win-win. 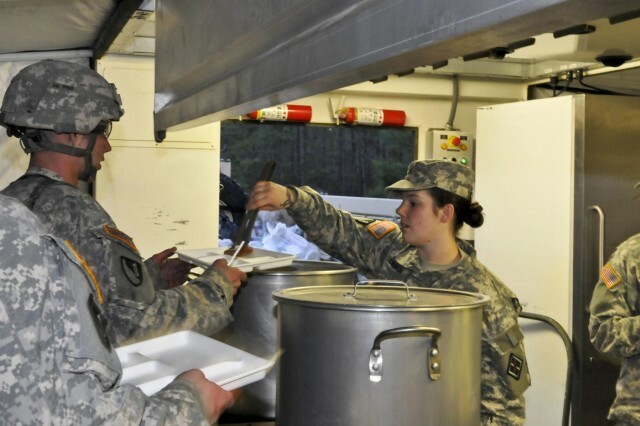 They get the benefit of the troop labor, we get the benefit of the training time," said Slyder. "So, it's a mutually beneficial relationship and partnership we have with them." 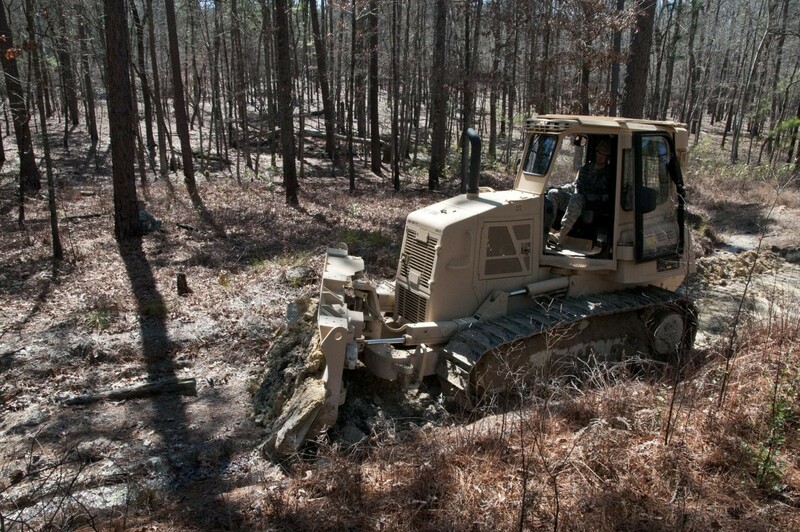 Future projects for Fort Jackson include construction of the berm and laying gravel for the motorpool. The battalion also partnered with the South Carolina National Guard for Vigilant Guard during the FTX. Vigilant Guard is a training exercise to allow State National Guards to respond to multiple, geographically disparate, catastrophic disasters in a Defense Support of Civil Authorities environment in order to strengthen regional partnerships, validate crisis action plans, and demonstrate the functionality of the Shared Situational Awareness COP tool. The 357th and 712th Engineer Support Companies inprocessed as if they had been mobilized for disaster relief. The Reserve is used during emergency response if National Guard and state agencies need additional support. In addition to the partnership with Fort Jackson and South Carolina National Guard, the 323rd Eng. Co. also has a partnership with Camp Croft, which is a local state recreational park run by the Game and Wildlife Commission in South Carolina. During the FTX the 323nd cleared some trees out from a recent storm for Camp Croft. The 391st Eng. Bn. and their subordinate units lived up to their motto "Build and Destroy" during their FTX, building construction projects and partnerships and becoming better trained to destroy with their honed Soldier skills.